Religion is a dominant force in the lives of many Americans. It animates, challenges, directs and shapes, as well, the legal, political, and scientific agendas of the new Age of Biotechnology. In a very real way, religion, biomedical technology and law are – epistemologically – different. Yet, they are equal vectors of force in defining reality and approaching an understanding of it. Indeed, all three share a synergetic relationship, for they seek to understand and improve the human condition. This book strikes a rich balance between thorough analysis (in the body), anchored in sound references to religion, law and medical scientific analysis, and a strong scholarly direction in the end notes. 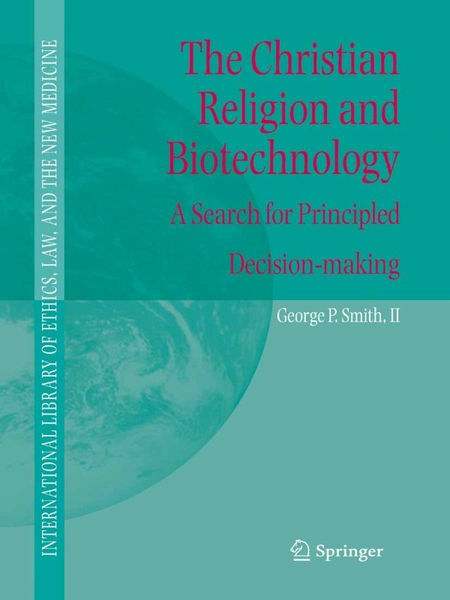 It presents new insights into the decision-making processes of the new Age of Biotechnology and shows how religion, law and medical science interact in shaping, directing and informing the political processes. This volume will be of interest to both scholars and practitioners in the fields of religion and theology, philosophy, ethics, (family) law, science, medicine, political science and public policy, and gender studies. It will serve as a reference source and can be used in graduate and undergraduate courses in law, medicine and religion.